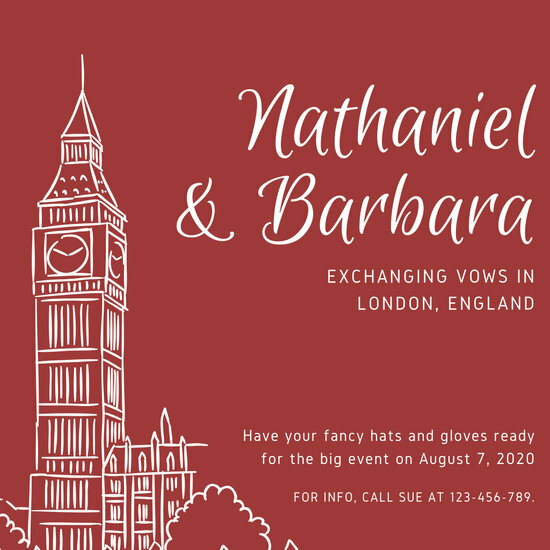 On your wedding day, show guests that you mean the world to each other! 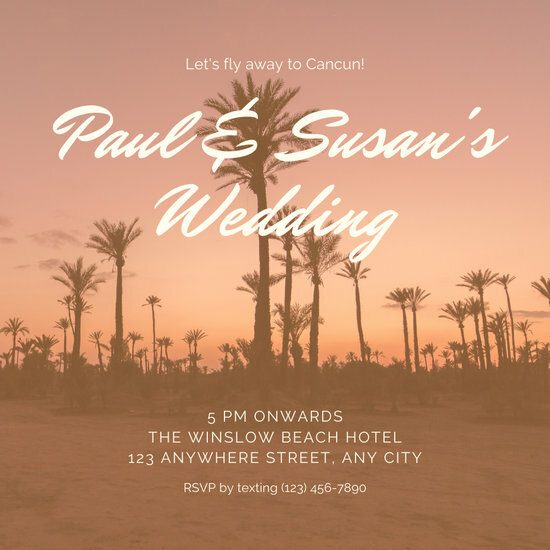 Edit Canva's destination-inspired invites and make your event even more special. 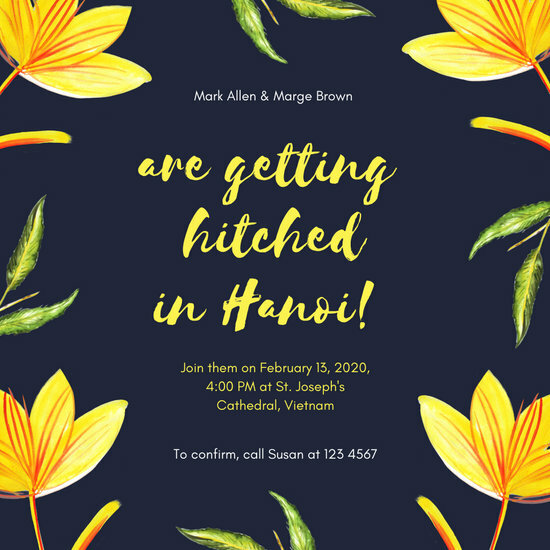 There’s something magical about getting married in a place that’s special to both of you. 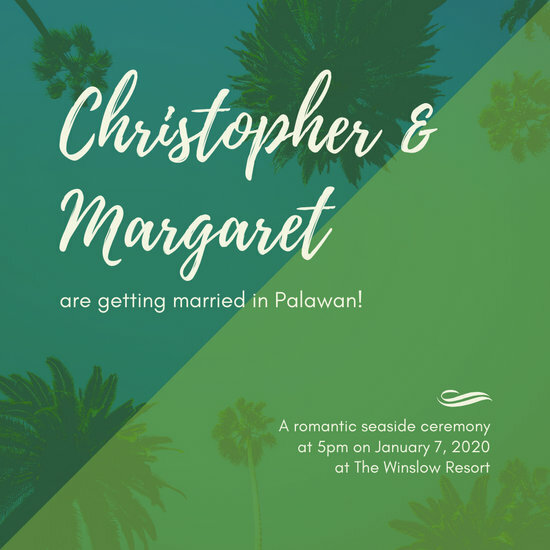 Maybe one that’s on the beach overlooking the sunset, or in a country known for romance and happy endings. 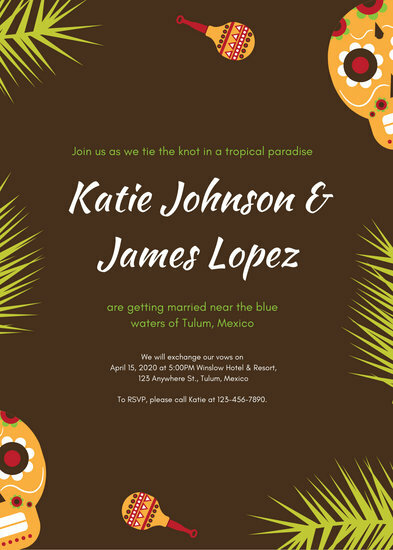 Build the excitement among your wedding guests by sending them an invitation that shows off your ceremony's location. 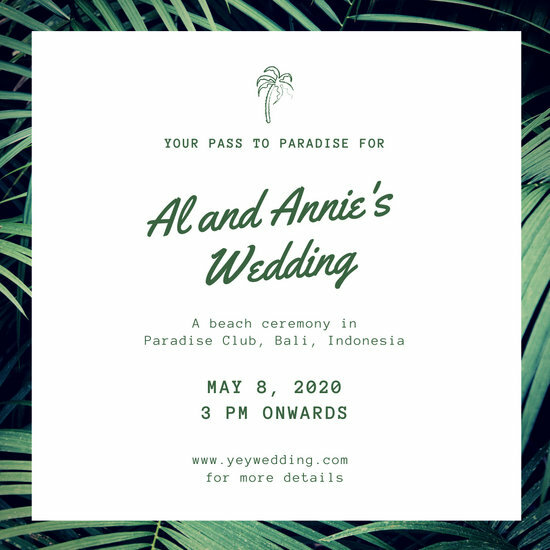 That way, they’ll have time to prepare their travel details and fix their schedules. 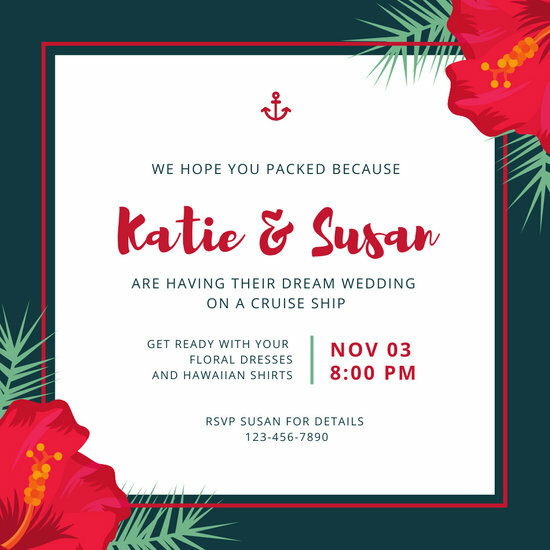 And because you can build your theme around the destination you’ve chosen, it will be so much easier to work on your design. 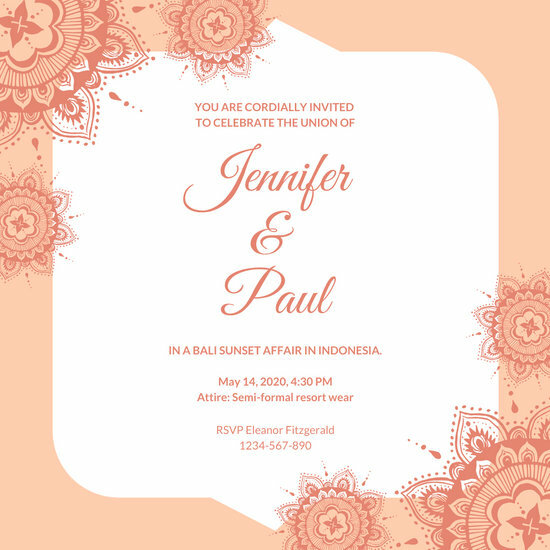 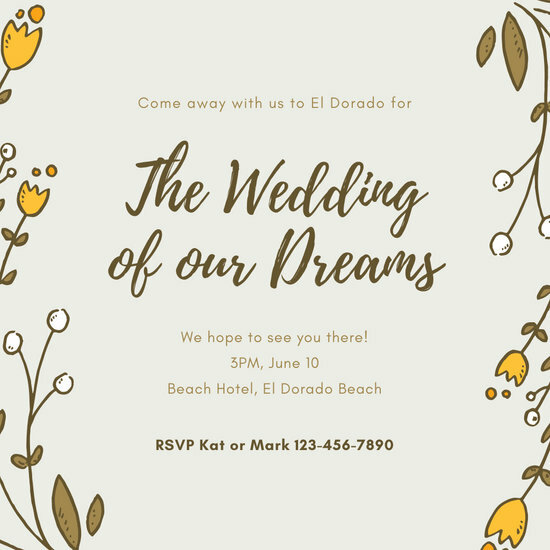 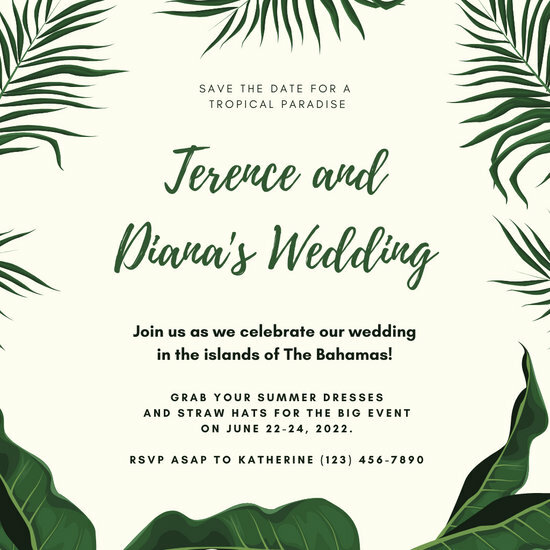 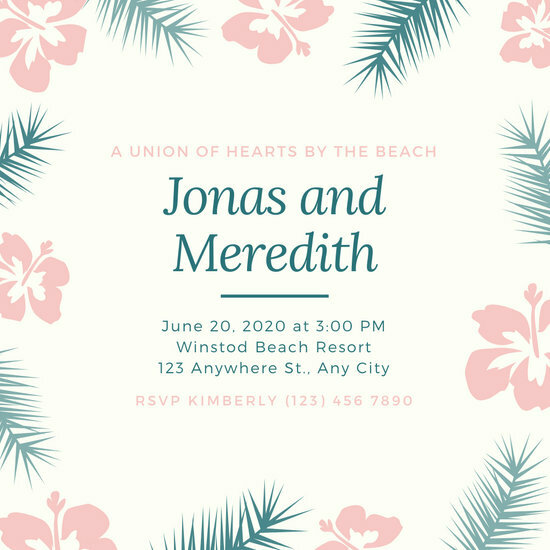 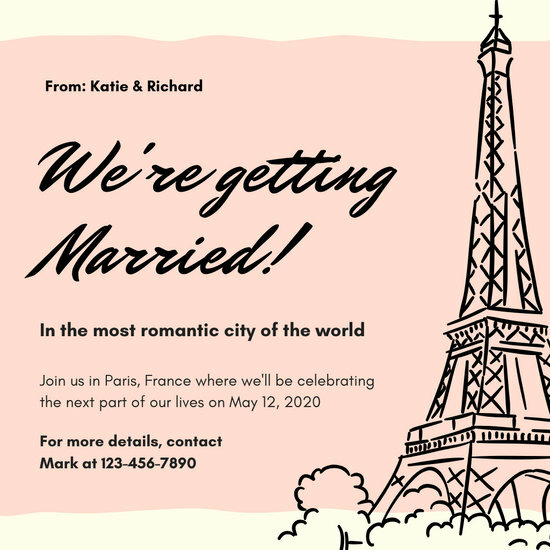 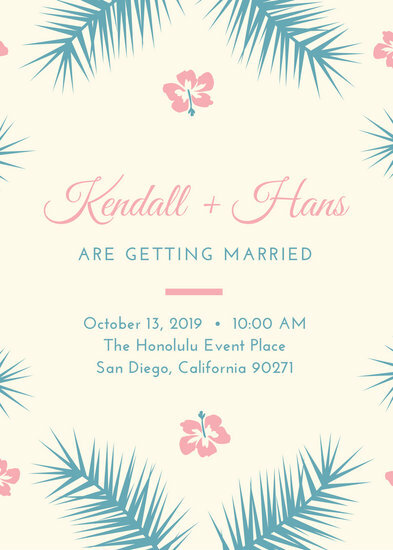 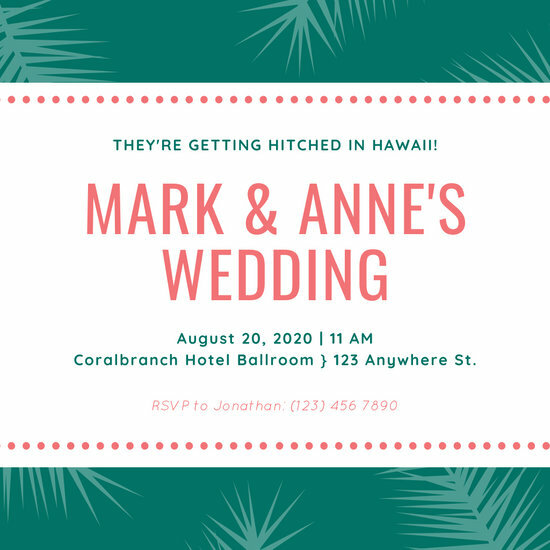 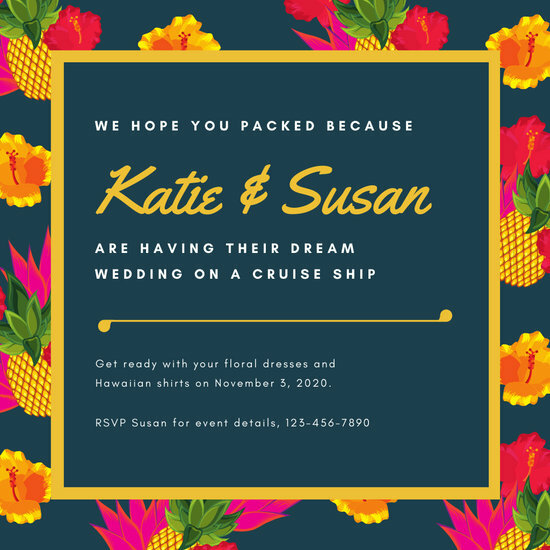 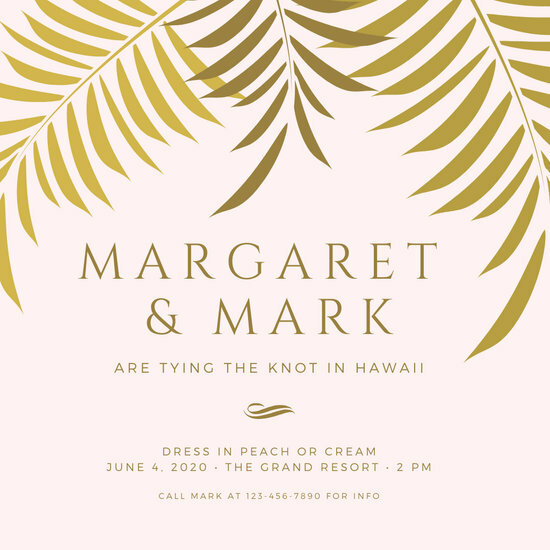 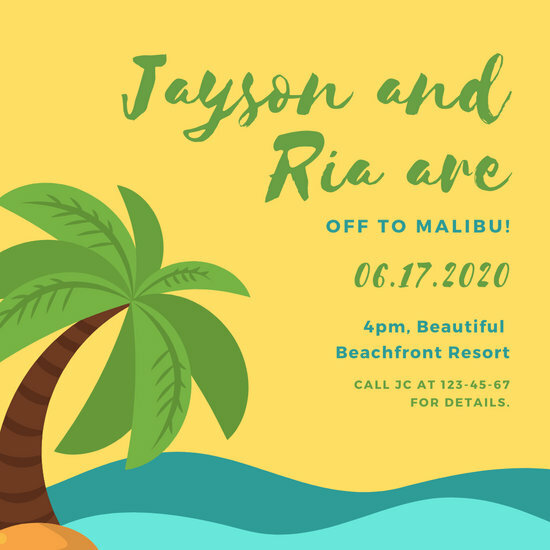 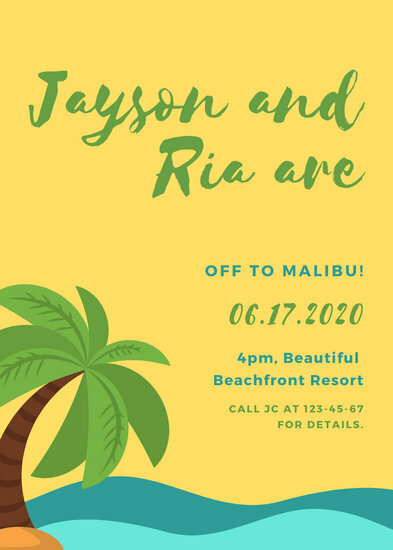 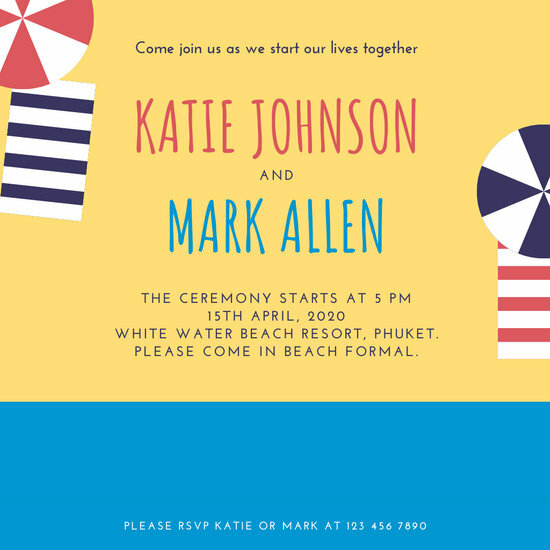 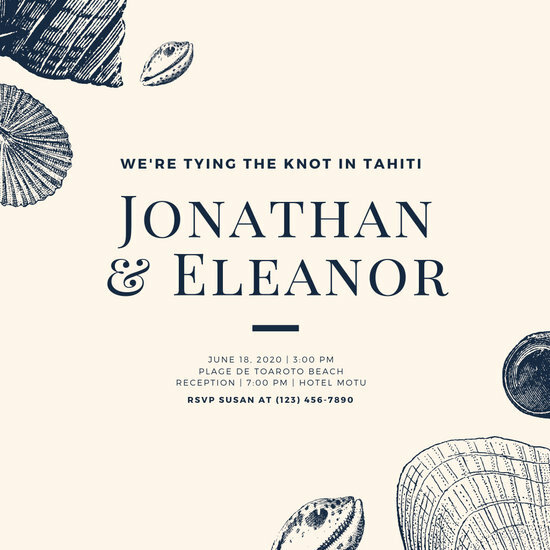 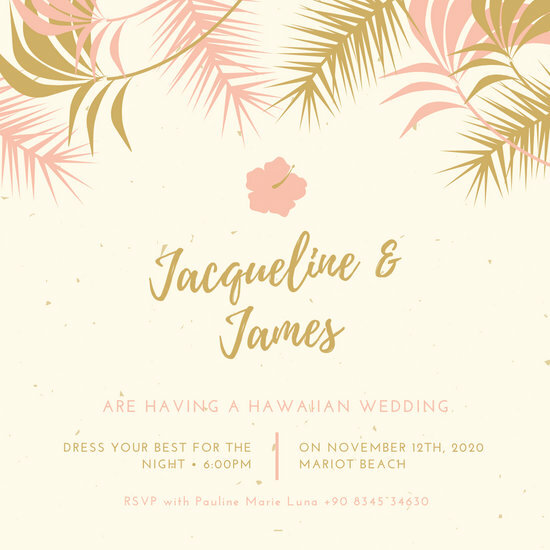 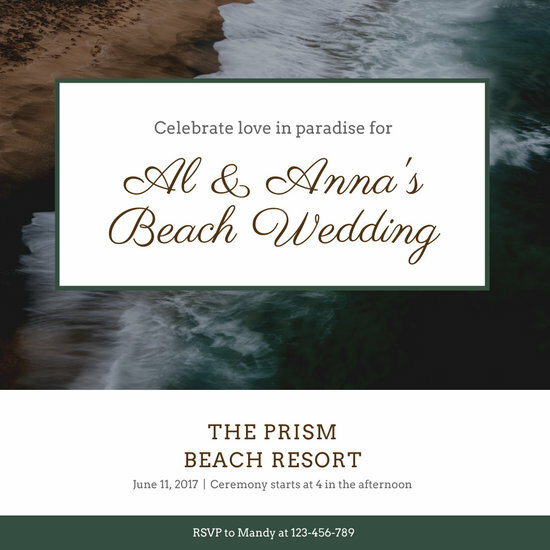 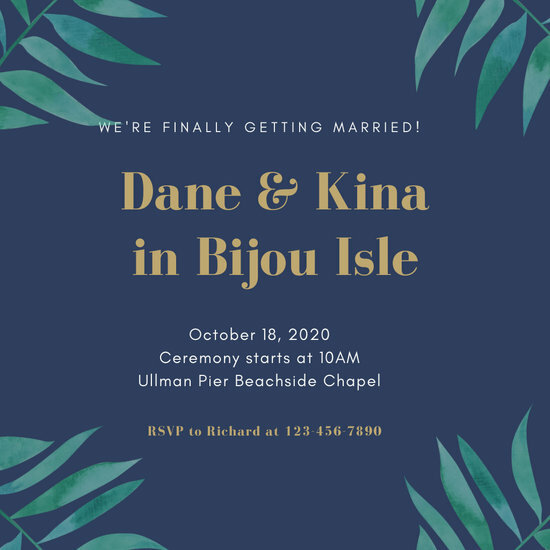 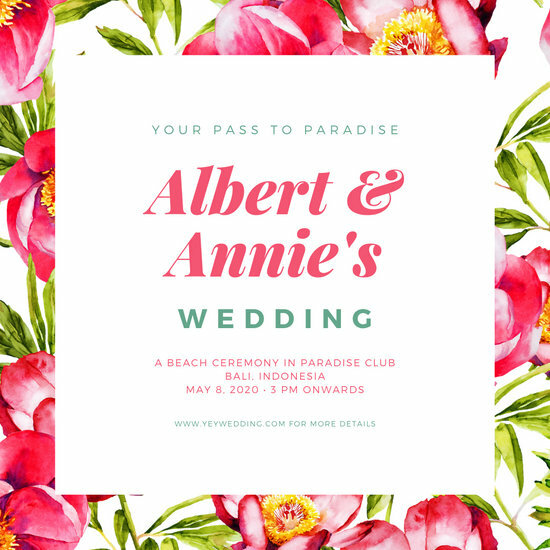 Start by skimming through Canva’s many different templates for destination wedding invitations. 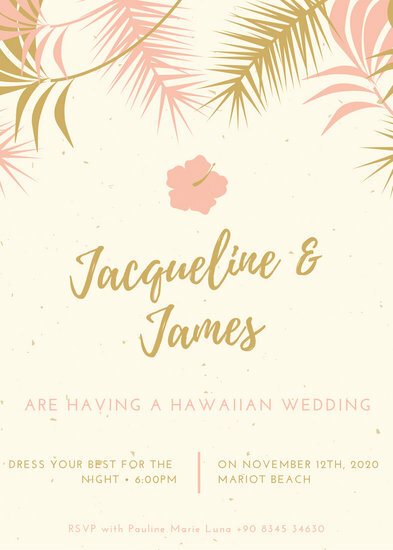 Click on one that fits your theme, then make it your own. 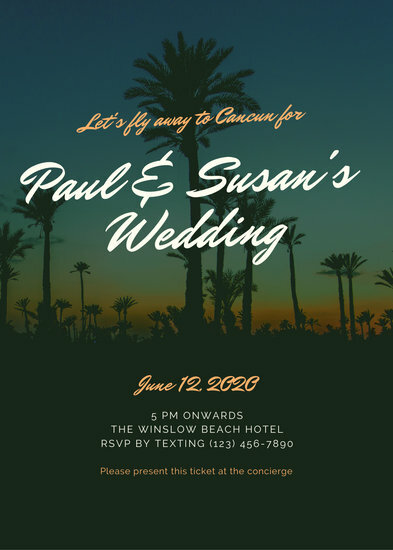 If photos are more your style, use one of Canva’s professional shots or a personal one that has meaning for both of you. 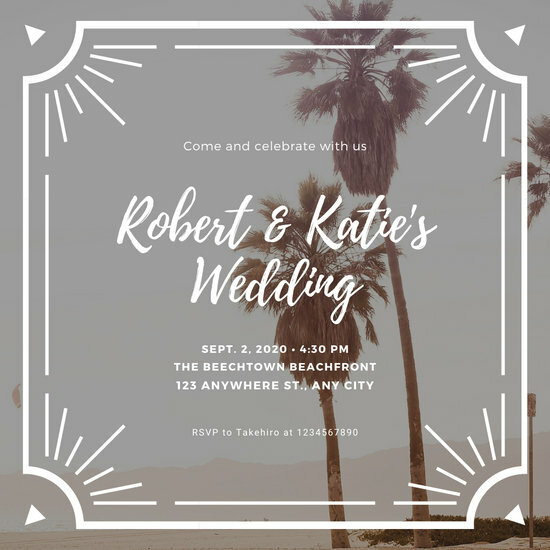 Simply drag and drop it into the layout and utilize our photo editing tools to give it the look you want. 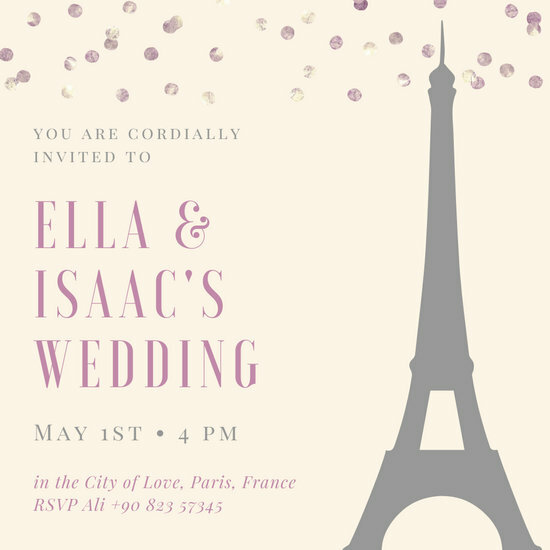 You can enhance or sharpen the photo or add an interesting filter. 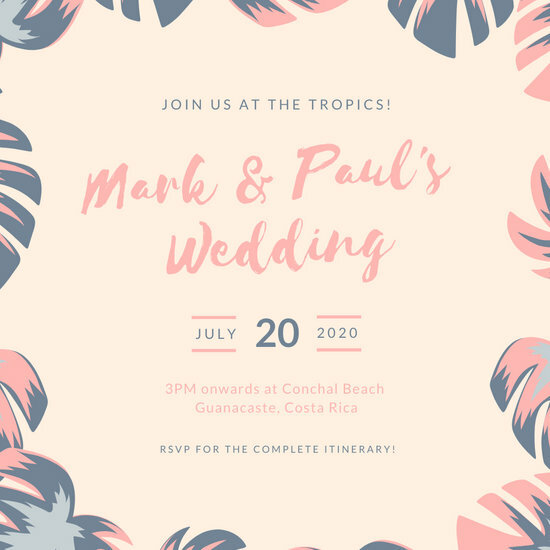 If you prefer illustrations, there are several to choose from in Canva’s massive media collection. 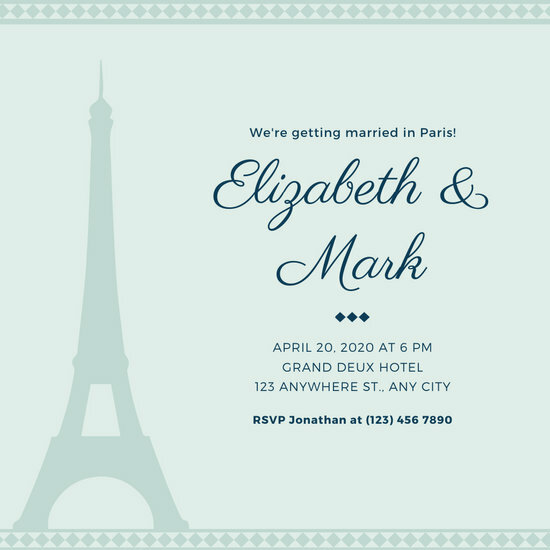 You’ll also find textures, patterns, frames, and borders you can include to decorate the background. 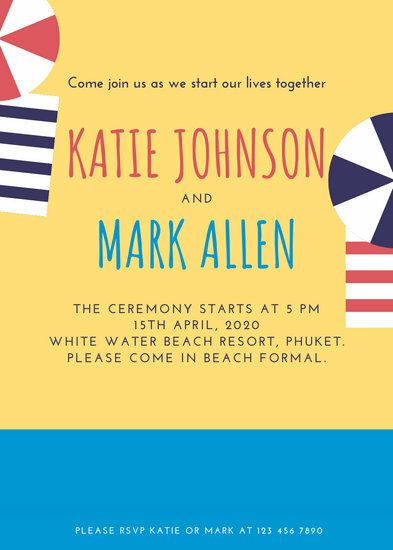 Once you’re happy with the look, type your wedding details with Canva’s text tool. 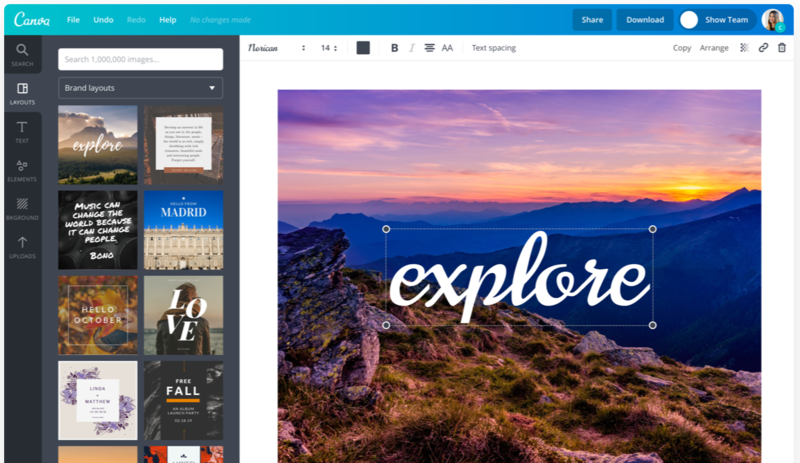 Pick out a font by scrolling through our many different options. 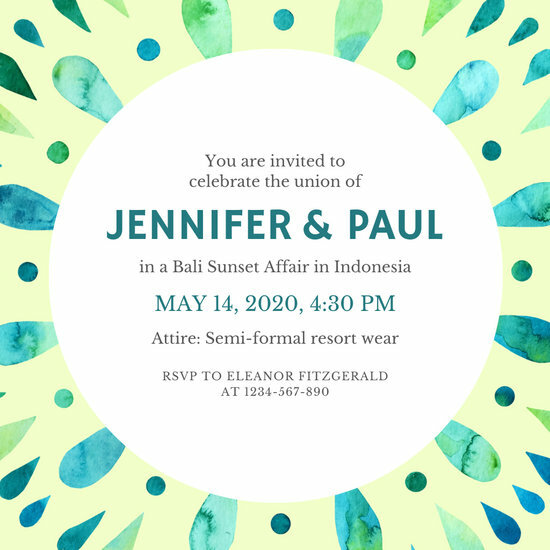 You can also tweak the color with the guide of our color wheel. 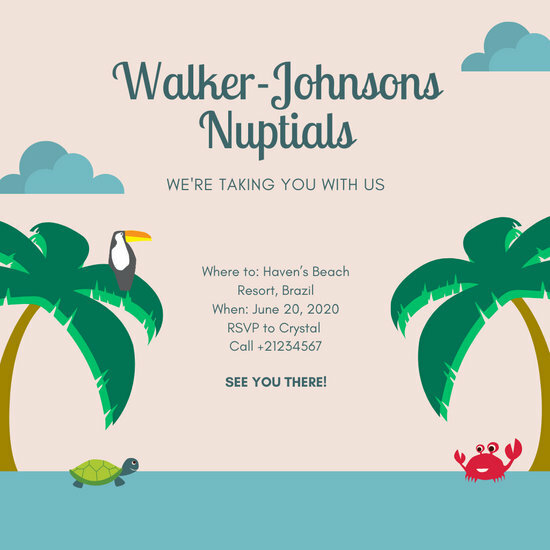 When everything is just the way you want it, save it in high resolution and print for your guests or email to those who want a soft copy. 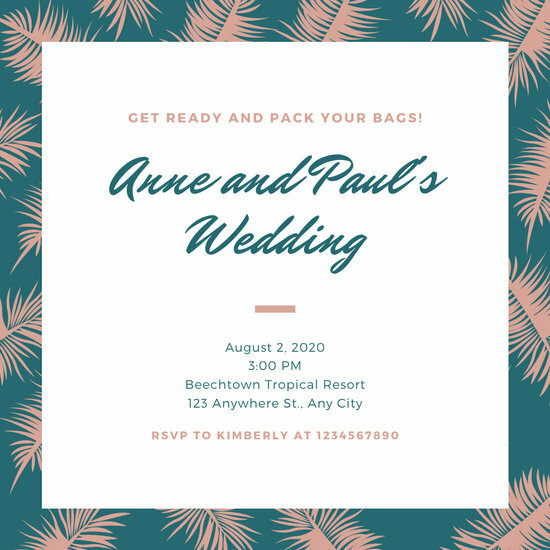 Now you can have the destination wedding of your dreams.